Free and easy-to-use PC based Data Logging, Data Acquisition, Control and Monitoring Software for small remote I/O Systems with up to 64 I/O tags. ** To get a FREE license key, click Reference & Support above then click Get License Key Basic Edition. 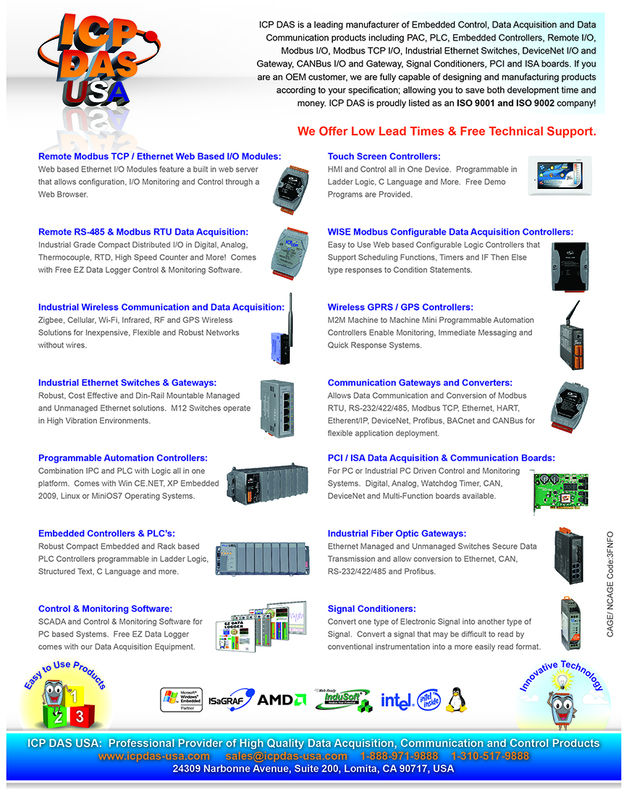 EZ Data Logger is a small data logger software. It can be applied to small remote I/O system using our Data Acquisition products. With its user-friendly interface, users can quickly and easily build a data logger software without any programming skill. Advanced EZ Data Logger is our Easy to use Data Logging Software for Advanced Applications. It supports up to 1024 I/O tags, 10 SMS or E-mail alarm contacts, up to 10 web cameras, and up to 256 virtual channels. 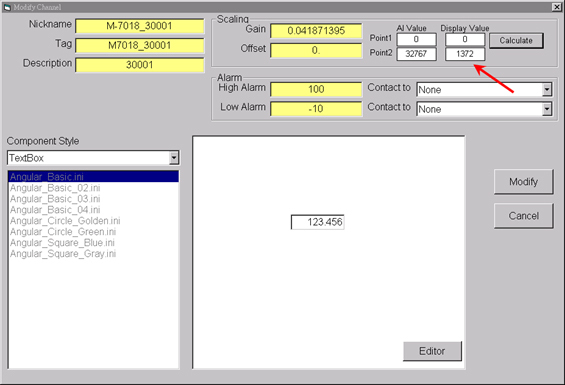 User can set the engineer's cell phone number and email address. When the channel value over the alarm value or back to normal, the contact messanger will send a message by SMS (using GSM Modem with PDU mode supported) or by E-Mail(using ethernet). Each channel can be assigned to any workgroup. Each trend line can store more than 86400 records. User can add an IP camera's web address, and then add it to group. Then the layout display will show the web page in a sub window. Users can log data to the SQL Server or MySQL. People can query the data on an aspx page by IE browser. The demo shows how to program a ASP .NET page to query the SQL Server data. Each AI channel can have its own high/low limitation. Once the AI value over high limitation or below low limitation, the alarm light will be triggered with audio. The alarm status will keep warning till users switch off the alarm light. For DCON modules,7000, 87K, 8000 modules can be searched. For Modbus RTU modules,M7000 serial modules can be searched and automatic setting the gain and offset. Set gain and offset can scal analog values from volt or amp unit to another physical measurement unit. Include calculating function( given 2 points to calculate the gain and offset). For example: rpm for rotation, kg for weight. All operation are done by click mouse and enter value. Alarm Notifier (by sending SMS or E-mail) The user can link a cell phone number and email address with the data logger values. When the channel value is over the alarm value, or when the value goes back to normal, the messenger will send an SMS message (using GSM Modem with PDU mode supported) or by E-mail (using ethernet). Value Conversion Set gain and offset can convert analog values from volt or amp unit to another physical measurement unit. This includes using a calculating function(using 2 points to calculate the gain and offset). For example: rpm for rotation, kg for weight. No Programming Needed! All operations are done by the click of a mouse and entering values. Flexible module configuration Each module and I/O point can be set to a different description and color. Flexible workgroup configuration Each channel can be assigned to a workgroup for easier organization. For DCON modules,7000, 87K, 8000 modules can be searched. For Modbus RTU modules,M7000 serial modules can be searched and can automatically set the gain and offset. High/Low alarm with audio warning Each AI channel can have its own high/low limit. Once the AI value over high limit or below low limit, the alarm light will be triggered with audio. The alarm status will keep warning until the user switches off the alarm light. Real time data trend (with zoom in and zoom out) Each trend line can store more than 86400 records. Using this, you can visualize your data on a graph. IP Camera Viewer The user can add an IP camera's web address, and then add it to group. Then the layout display will show the web page in a sub window. Access database & SQL supported The database can be exported to an Excel file or CVS file. Print Reports The user can print reports from the trend line or data from the database. Registration with product serial number, PC ID Code, and personal information to get a license key. Each product serial number can request 3 license keys for 3 PC. Q: How do I display the analog values in another unit, for example kg? A: Set Gain and Offset can scale the values to any unit you want. To obtain the exact Gain and Offset, you have to get two values first, and then use following method to get the final result. Set "Gain" and "Offset" in "Group setup" . Q: How to activate the Modbus driver? The following ICPDAS device can be connected to active all the Modbus driver. Q. What should I do to support remote SQL Server? 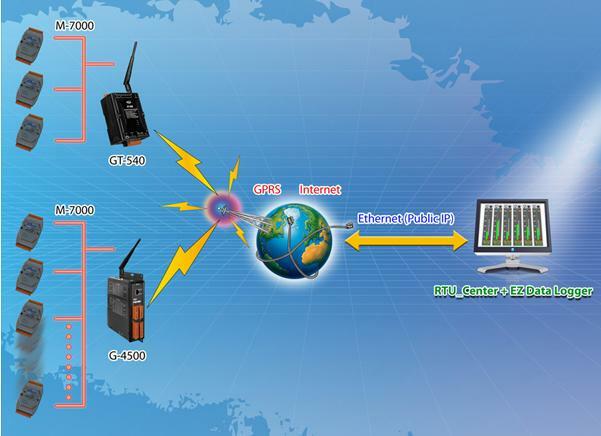 Q: How to connect to the M2M devices? Q: I am having difficulty opening the EZ Data Logger program, despite having the latest updates to Windows? Right click EZ, and choose "Run as administrator" once. If it does not work (you must be logged in as administrator) in the start bar, go to All Programs, then Accessories, then select Run. "regsvr32 c:icpdasEZ_Data_Loggertoggleocx" once to a find the .exe file, double click it to register the component. And you must restart your PC after doing this. Q. How can I use Engineering Unit and HEX Unit on EZ Data Logger? To connect to the EZ Data Logger, it is not necessary to set to engineering unit. HEX unit should be OK to connect to the EZ Data Logger as well. 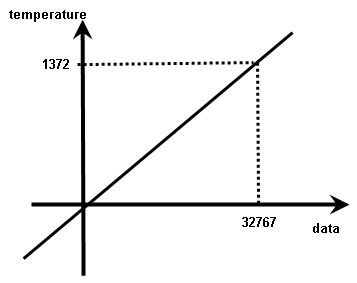 In engineering format, the temperature is data * 0.01.
in HEX format, the temperature needs to be converted by gain and offset. For example, K type data 32767 is mapping to temperature 1372. Because the data 0 is mapping to temperature 0, so the offset is 0. You can set the gain to EZ Data Logger, or calculate the gain and offset by 2 points. AI value is the read data. Display value is temperature. If someone uses engineering format by another case, that is easier. Display value (temperature) = 0.01 * AI value (read data). 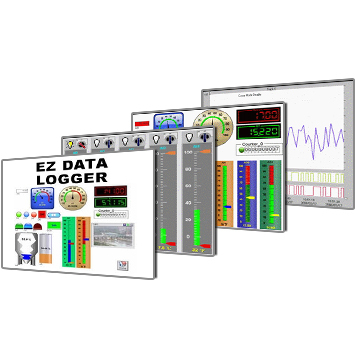 Download EZ Data Logger Control & Monitoring Software.